Public Health Service in World War II . In 1939, President Franklin D. Roosevelt put the Public Health Service under his newly created Federal Security Agency by Reorganization Plan No. 1 of 1939, effective July 1, 1939. The Federal Security Agency was established to promote social and economic security, educational opportunity, and the health of the citizens of the Nation. 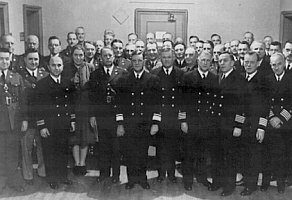 In November 1941, the Coast Guard was militarized and PHS officers served as its medical branch. The Coast Guard was a major duty, and nearly 700 PHS officers served in it on combat duty throughout World War II, including nurses starting in 1944. .. Medical Officers of the Public Health Service have been assigned to Coast Guard vessels since 1879. Early assignments were for example expeditions to Alaska, the Arctic, and on training cruises from the Coast Guard Academy. 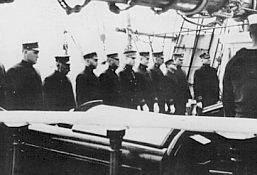 The picture shows officers aboard the Coast Guard Cutter Bear which served in the Arcticon for 40 years on various rescue, assistance, investigation, and patrol missions (c. 1915). In December 1941, when America declared war, many PHS officers were immediately detailed to the Army and Navy. All Public Health Service programs experienced tremendous growth and the number of personnel increased from 8,000 in 1940 to over 16,000 by 1945. The Commissioned Corps of the Public Health Service employed top-rate doctors, highly trained scientific personnel and nurses of the finest quality. The Service was consolidated during 1943 to comprise four main components -- the Office of the Surgeon General, the National Institute of Health, and the new Bureau of Medical Services and Bureau of State Services. 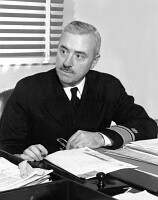 The 1944 Public Health Service Act further strengthened the medical and administrative authority of the Service and its Surgeon General. .. The PHS was active in most health areas during the war. The Service insured adequate public health services and strengthened medical assistance to the states. Malaria control around military camps and maneuver training sites was supervised by the Malaria Control in War Areas program. Disease prevention and fighting yellow fever, dengue, and typhus continued. Late in the war, the PHS established an Office of International Health Relations to handle increasing overseas health concerns. Medical services were provided to the United Nations Relief and Rehabilitation Administration within refugee camps in Europe and Near East. .v PHS Sanitary Engineers dealed with problems related to water supplies, sewage disposal, industrial wastes, and other environmental hygiene concerns. With their work they helped to control yellow fever, malaria, and waterborne diseases, such as typhoid fever. 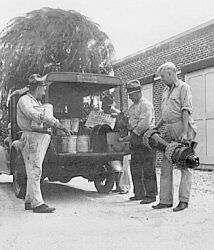 The picture shows PHS Sanitary Engineers during WWII. The Service supported research into many aspects of health care on the home front. .For instance, it investigated hazardous substances to protect war factory workers. The Service examined new explosives, developed methods to determine the amount of lead or TNT in urine (so that workers could be tested for overexposure), and demonstrated the affinity of lead for bone tissue. Other investigators determined that the vapors of methyl, ethyl, isopropyl, and butyl alcohol were acutely toxic to workers. This work improved conditions of employment for more than 300,000 workers in wartime industries. .vv A fumigating and disinfecting team getting ready to work in New Orleans. Researcher Emily Emmart working in the National Institute of Health's Rocky Mountain Laboratory in Hamilton, Montana (c. 1937). .v Treatment of tropical diseases was undertaken at the PHS Rocky Mountain Laboratory in Hamilton, Montana, where yellow fever and typhus vaccines were prepared for military forces. In Bethesda, Maryland, a synthetic substitute for quinine was sought to treat malaria. Sampling techniques were developed to avoid bacterial contamination in plasma and blood. The PHS revealed that sodium deficiency was a direct cause of death after burns or traumatic shock, leading to the widespread use of oral saline therapy as a first-aid measure on the battlefield. PHS military physiologists researched problems of high altitude flying. 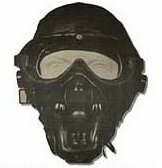 They determined the altitude at which oxygen needed to be given, in order to prevent pilots from blacking out, and designed an apparatus to supply the extra oxygen efficiently. They also studied the relation of pressure changes to bubble formation in liquids to address the problem of emboli forming in the blood of pilots. at Freedmen's Hospital. .v The severe wartime shortage of nurses resulted in a uniformed Cadet Nurse Corps as part of the Public Health Service under the Nurse Training Act of 1943. 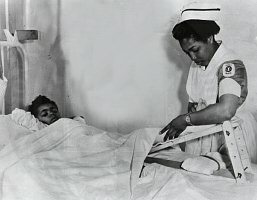 Participants received scholarships and monthly payments to attend nursing schools by agreeing to work in essential nurse positions after graduation for the duration of the war. The entire program graduated 124,000 nurses, of which over 3,000 were Black and other minorities who became valuable health professionals. The Public Health Service performed active wartime service during 1898 by supporting military forces during the Spanish-American War. Both Army and Navy were treated in the PHS marine hospitals. Yellow fever was confronted by PHS officers sent on emergency duty to front-line positions in Cuba and Puerto Rico. The PHS Commissioned Corps accompanied troop transports, staffed temporary quarantine stations, and saw combat within the fleet at the Battle of Manila Bay in the Philippine Islands. 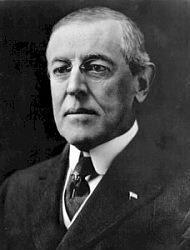 President Wilson invoked the Act of July 1, 1902, to militarize the Public Health Service by executive order on April 3, 1917. Using the PHS as part of the armed forces was confirmed by a Congressional resolution of July 9, 1917. Female PHS member wearing the outdoor uniform of the comissioned corps. .v This legal entanglement was avoided during World War II, because President Roosevelt was given direct Congressional authority for militarizing the PHS. This vital legislation, which became effective November 11, 1943, also gave full military benefits to all PHS commissioned officers. For the first time the Commissioned Corps could serve in a full military capacity in wartime. The Public Health Service Act of July 1, 1944, reinforced the militarization of the PHS Corps under President Roosevelt. However, a few problems remained. 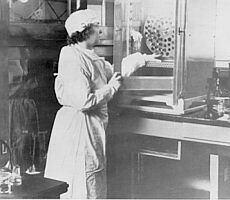 The Commissioned Corps of the Public Health Service had existed for a half-century prior to World War II and expanded in 1944 to include female scientific personnel and nurses. There was a practical need to designate the PHS as a military force in all regards. For example, some nurses were detailed to secret organizations like the Office of Strategic Services (OSS), which later became the CIA. This required confirmation of full PHS military capacity to serve in combat, regardless of mission scope or secrecy. Therefore, on June 21, 1945, President Truman signed Executive order No. 9575 that declared "the Commissioned Corps of the Public Health Service to be a military service and a branch of the land and naval forces of the United States during the period of the present war." In other words, Executive Order 9575 declared the Commissioned Corps of the Public Health Service to be a military service in every respect, and prescribed appropriate regulations (Federal Register page and date: FR 10 7895, June 29, 1945). 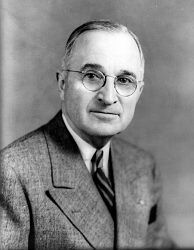 ... Harry S. Truman, President of the United States from April 12, 1945 – January 20, 1953.